For many believers who once were Trinitarians, the discovery that Scripture doesn’t support the traditional Christian teaching that Messiah is G-d, has the initial effect of a certain disenchantment, an experience of their Lord and Saviour being relegated to a less exalted status. Oftentimes, their first reaction is: So Yeshua is a mere man? Although this reaction is understandable, it is by no means correct. To describe Yeshua as “a mere man” is detrimental to his unique position. It evokes the wrong suggestion that — perhaps apart from his sinlessness — Yeshua wasn’t importantly different from other human beings or from the other prophets who had a divine mission to fulfil in Israel. To get a better perspective on Yeshua’s position, we have to distinguish between the essential features of human nature, which are shared by Yeshua and us alike, and the specific prerogatives of the office of Messiah, which are uniquely his, and which imply huge differences between him and all other human beings, because of the gifts bestowed upon him by the Father. It is well-known that after his resurrection Yeshua was given all power in heaven and earth (Mt. 28:18). And already during his earthly life he was not only the perfect man through the property of sinlessness. He was granted the power to work miracles and to forgive sins, as appears from the Gospels (Mt. 9:1-8). He was also granted special knowledge (Mt. 17:24-27 & Jn. 1:47-51), although he was by no means omniscient (Mk. 13:32). Before and after his resurrection, however, all the special powers and prerogatives of Yeshua were and are derived from G-d. The Messiah sent by G-d is always totally dependent on the Father (Jn. 5:19). The essential difference between G-d and creature is thus fully maintained in the case of Yeshua. Only creatures are dependent beings, G-d never is dependent on anything in whatever way. There are thus some perfections found in Yeshua, which are not normal human perfections, such as knowing things about the future, having the power to resurrect the dead and to be the Judge of all men, &c (Jn. 5:25-27). These are perfections Yeshua received because of his special position of being the Messiah, the second Adam, the cornerstone of the new creation. These perfections do however not in any manner imply that Yeshua himself is G-d. As I said, all these perfections are received — and thus created — perfections. The perfections and prerogatives bestowed upon Yeshua can be called “divine”, because they are in themselves superhuman, or supernatural. The prophets did at times share in some of them. Think for instance of Moses, to whom were given special miraculous powers when he appeared before Pharao. Yet it is clear as daylight that the “divine” powers that were shared by Moses in no way elevated him to the status of Deity. These powers indicated that he fulfilled a divine mission, i.e. a special mission proceeding from G-d. Similarly, the divine prerogatives and powers shared by Yeshua don’t make him G-d. They make him the special agent of G-d. Since, ultimately, Yeshua is our only Mediator with G-d, the only one through whom we can receive atonement for our our sins and restoration to the status of being in full communion with G-d, he has a position which is incomparable to any other prophet. All the blessings relevant for our spiritual life come to us through him. Only on account of his merits are we able to become the children of G-d. Being a creature thus in no way diminishes Yeshua’s unique status or his high exalted position. It makes him the perfect agent of G-d, the one and only Mediator for all mankind. Cf. 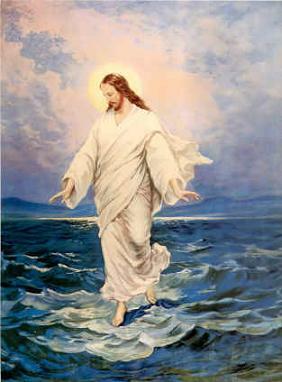 “If Jesus Isn’t God, How Did He Forgive Sins?” at: Biblical Unitarian. Cf. “How Did Jesus Do the Amazing Things He Did?” at: Biblical Unitarian. Cf. “Does the Teaching that Jesus is the Son of God, Not God Himself, Demean Him?” at: Biblical Unitarian. Charles Henry Welch (1880-1967) was born and raised in London, in an areligious and atheistic home. In November 1900 he attended an address on the subject “Sceptics and the Bible”, given by an American, Dr. L.W. Munhall, m.a., d.d., at Exeter Hall, Strand. In a second address by the same Dr. Munhall the Gospel was preached and Welch accepted Jesus Christ as his personal Lord and Saviour. Shortly afterwards, his father also came to faith and in the course of time his mother and sisters followed. Welch soon became an ardent student of Scripture and discovered that, contrary to what was taught in traditional Church doctrine, the restoration of Israel and the coming of the Millennial Kingdom were a main theme of the New Testament, not of the Gospels only but also of the Acts of the Apostles and many of Paul’s letters. By his biblical studies he came to conclusions that were very similar to results earlier obtained by Ethelbert W. Bullinger, an Anglican clergyman who emphasized that “the Church” — meaning the Assembly of believers which is now and which historically became separated from the Jewish nation — did not legitimately begin at Acts ch. 2, but at Acts ch. 28. Bullinger had discovered that during the time of the Acts of the Apostles the Millennial Kingdom, which was offered to Israel during the earthly ministry of the Lord Yeshua, was re-offered to them by the resurrected Messiah and his Apostles. When this offer was finally rejected and national repentance did not occur, the verdict of Isaiah ch. 6 was solemnly pronounced by Paul in Acts 28:25-27, and it was declared that from then on “the salvation of G-d is sent unto the Gentiles” (Acts 28:28). According to Bullinger this declaration implied the setting aside of the nation of Israel. In his interpretation it was a dispensational boundary that marked the starting point of the predominantly Gentile Christian Church. Although Welch had once seen a copy of Bullinger’s monthly journal: Things to Come, he arrived at these conclusions largely independently from Bullinger’s works. When later on he saw again an issue of Things to Come and found an article which could have been composed from his own notes, he started a conversation with Bullinger about the consequences of the hypothesis that Acts 28 was the starting point of “the Church” for the interpretation of Paul’s letters. Welch saw an inconsistency in Bullinger’s approach. If Bullinger was correct and the verdict of Acts 28 marked the end of the Kingdom Offer and the beginning of a new dispensation of “the Church of the One Body” as he called it, then — Welch pointed out to him — Paul’s epistles could no longer be treated as one corpus. The conclusion was inevitable that they belonged to two groups. Under that presupposition the epistles written before Acts 28 were written at a time when the Kingdom Offer was still in force. The epistles written after Acts 28 — the prison epistles — however, reflected a theological situation in which the Kingdom Offer had expired and the new reality of a Church in which the national prerogatives of Israel had been set aside was initiated. Bullinger’s and Welch’s discovery of a Kingdom Offer during the period of the Acts is of the utmost importance for Messianic Judaism. It makes clear that the New Testament Scriptures continue the story of Israel not only during the earthly ministry of Messiah recorded in the Gospels, but also during the Acts of the Apostles. Acts ch. 2 doesn’t report the birth of the later Church. It reports the birth of an entirely Jewish Assembly of Messiah, which functions as a missionizing agency with the purpose of bringing Israel to national repentance from its sin of crucifying Messiah, in an effort of convincing the nation to accept him after all. Welch’s main contribution to the idea of a re-Offer of the Kingdom during the Acts was his keen insight that this idea required a division of Paul’s letters into two groups which would have to show different features and accents. The merit of his contribution may be that Welch perhaps shaped a useful tool for reconciling some apparent discrepancies within the corpus of Paul, a tool that seems particularly relevant for those whose study of Paul is guided by a Torah-observant perspective. This aspect of Welch’s work still awaits further study and evaluation. A shadow-side to their discoveries is that both Bullinger and Welch erred in interpreting the Kingdom Offer and the boundary of Acts 28 within a dispensationalist hermeneutical framework. Both concluded that between the verdict of Acts 28 and the future national restoration at the Second Coming Israel was no longer G-d’s people. Consequently they interpreted the status of the present community of believers (“the Church”) as one wholly separated from the Abrahamic and Sinaitic covenants. They forgot what so many have forgotten, that Paul’s announcement of the verdict of Isaiah 6 operated within the context of the covenantal blessings and punishments of the Torah and that for that reason his announcement pre-supposes the continuing existence of Israel as G-d’s nation. Bullinger and Welch didn’t adequately distinguish between the basic constitution of Israel as G-d’s nation since the Exodus and Sinai events, which always remains intact and is not subject to change, and its fruitful instrumental role in fulfilling G-d’s purposes in bringing in the Kingdom Age, which is subject to change and failure. Through disobedience Israel can temporary fail in being useful for HaShem in bringing in the Kingdom. But this fact doesn’t change its basic constitution of being G-d’s chosen nation. Despite these errors there remains much to be admired and explored in Bullinger’s and Welch’s writings which could be relevant to the present conundrums faced by the messianic world. One of these is the never-ending discussion on Jewish and Gentile identity. If we re-interpret Welch’s vision of the present Church in a non-dispensational and pro-Torah context, a picture emerges according to which the Assembly of Messiah is composed of individual Jews and Gentiles on a basis of strict equality. The nation of Israel (i.e. the Jewish people) is another thing. It exists apart from this Assembly and cultivates the preservation of Jewish identity in its separation from the community of believers. Both communities are partial realizations of the full reality of “Israel”, and will not merge before the Second Coming of Messiah, when the Millennial Kingdom will be established. Welch’s writings deserve a careful study and interpretation. By his analytical exploration of the Bullinger’s idea of the Kingdom Offer, Welch has contributed to a better understanding of the New Testament Scriptures. When his works are studied in a context which is detached from their original dispensationalist setting, fruitful insights are to be expected. That’s the reason for drawing attention to his Yahrzeit here. Charles Welch died on November 11, 1967, which according to the Hebrew calendar was the 8th of Cheshvan, 5728. Upcoming Shabbat is his 44th Yahrzeit. May his memory, and the study of his works, be a blessing. O G-d, the King of saints, we praise and magnify thy Holy Name for all thy servants who have finished their course in thy faith and fear; for the Blessed Virgin Miryam, the Mother of our Lord; for the holy patriarchs, apostles and martyrs; and for all other thy righteous servants known to us and unknown; and also for our teacher — in thee and for thee — Charles Henry Welch; and we beseech thee that, encouraged and inspired by their examples, and strengthened by their fellowship here on earth, we may with them be partakers of the inheritance of the saints in light, in that great Day of the Appearing of our Lord and Saviour Yeshua the Messiah, who liveth and reigneth with thee, in the unity of the Holy Spirit, world without end. Amen.